North Shore Oahu, Hawaii - (Tuesday 28th March 2017) - The Association of Paddlesurf Professionals (APP) and Hawaiian Airlines are proud to announce a new partnership for the 2017 APP World Tour. Hawaiian Airlines has signed as the Official Airline for the APP World Tour in 2017, with a major focus on the Tour’s upcoming events in Japan, New York and San Francisco – all destinations served by Hawai‘i’s largest and longest-serving carrier. "The sport of stand up paddling emerged from the Hawaiian Islands and spread across the world as a truly ‘global’ phenomenon and the APP World Tour has done the same; as an organization founded at the sport’s birthplace right here in Hawaii, the Tour now hosts events in all four corners of the World, bringing this traditionally Hawaiian sport to the world. With our respective visions clearly aligned, Hawaiian Airlines not only represents an ideal fit for the APP World Tour, but services the majority of our venues”, says Tristan Boxford, CEO of the APP World Tour. The 2017 APP World Tour is already underway following the successful completion of its opening leg in the Hawaiian Islands between February and early March. 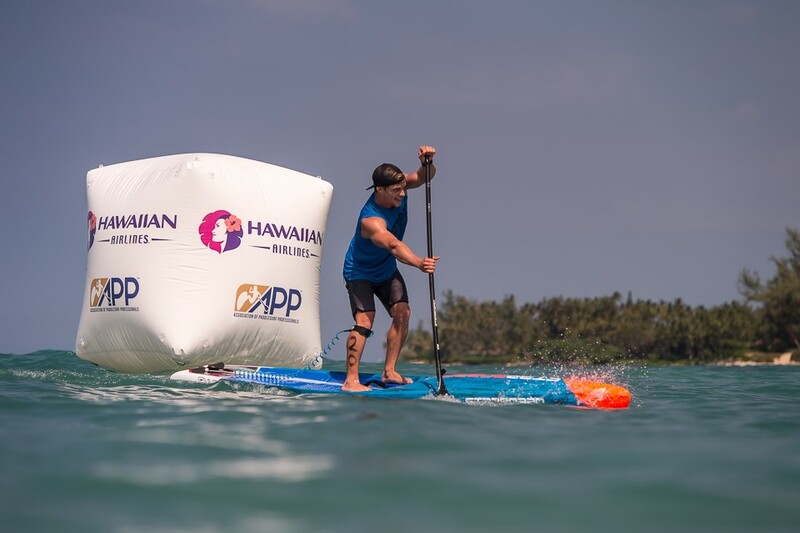 The world’s best stand up paddlers will now head across the Pacific to the watersports mecca just outside Tokyo, Enoshima Beach in Kanagawa, where the Japan Pro-AM presented by Hawaiian Airlines will be held May 5-7. For all live broadcasts and information on the APP World Tour, please visit www.appworldtour.com and follow the Tour across social channels at #appworldtour. You can also catch up with all the action from the APP World Tour through our dedicated TV Series on CBS Sports Network, a series that is syndicated globally through IMG Media. Now in its 88th year of continuous service, Hawaiian is Hawai‘i’s biggest and longest- serving airline, as well as the largest provider of passenger air service from its primary visitor markets on the U.S. Mainland. Hawaiian offers non-stop service to Hawai‘i from more U.S. gateway cities (11) than any other airline, along with service from Japan, South Korea, China, Australia, New Zealand, American Samoa and Tahiti. Hawaiian also provides approximately 160 jet flights daily between the Hawaiian Islands, with a total of more than 200 daily flights system-wide. The Waterman League Group is an event management and media production company headquartered in Hawaii focused on developing multi-disciplined water sports. The term 'waterman' refers to versatile athletes who can engage in various forms of water sports at the highest level. As founders of the World Championships for paddlesurfing (also known as stand-up paddling), the Waterman League has been crowning Men's and Women's World Champions for both racing and surfing since 2010, with flagship events across the Americas, Asia, Europe and the Middle East, now branded as the APP World Tour. The APP World Tour produces a complete inventory of programming, including live and post produced broadcasts from all its events, with distribution to over 100 countries worldwide via premier global networks such as CBS Sports and Fox Sports Australia, supported by IMG Media. Information is available at appworldtour.com and fans can follow events @appworldtour on Facebook and Instagram.